Each year, thousands of people are injured and/or killed due to accidents involving vehicles and bicycles. This is often either the driver’s or bicyclist’s fault but oftentimes, an accident could have been prevented if either party took additional precautions. Whether you are a bicyclist trying to avoid vehicles or vice versa (a driver trying to get from point A to point B without any problems), you should consider all these tips to avoid injuries and lawsuits. Similar to a car accident, you should always write down the information of anyone you are in an accident with. When possible, write down the license plate, vehicle make and model, and name of the driver who crashed into you. You will need this information to inform authorities of what happened. Additionally, be cautious of what you tell the driver that is at-fault or the police. If you say you’re not in pain and feeling alright and only later feel pain once the shock has settled, this can be used against you if you decide to file a claim. Anything you say can be misconstrued, so it is best to stay neutral and simply write down the information that you need. If you are injured in a car accident while you were riding your bike, you may be able to receive compensation. We always offer free initial consultations to determine whether you may have a successful case. Call us today at (716) 907-7777 so that our experienced team of attorneys can help you. Going out to a restaurant means you’re going to pay a little more than you normally would if you were dining at home, but that you’ll be treated with great service and possibly be introduced to a new dish. While you should rightfully expect the best, sometimes that’s not the case. Under certain circumstances, a restaurant owner may be liable to you for injuries you endure while dining out. Food can be cooked improperly if it is undercooked, scalding hot, or previously contaminated. Undercooked food can cause severe illnesses, especially to young children and the elderly. Food and beverages that are too hot can cause burns that lead to hospitalization. Contaminated foods can risk potentially deadly illnesses such as E. coli or Salmonella. Restaurant owners are held responsible if they fail to maintain their restaurants’ premises. If you are injured because of a spill that should have been cleaned up or another hazard that shouldn’t have been there, you might be able to receive compensation. In tort liability, if you are lawfully at an owner’s place of business, you are considered to be benefiting the property owner and therefore will be considered an “invitee.” Invitee status means that property owners owe you a duty to reasonably inspect and maintain their premises to make sure that you are not harmed. You could have a successful claim if an owner and/or his or her employees failed to clean up a spill on the floor causing you to slip, fall, and injure yourself. Owners and their employees need to keep an eye out for foreseeable accidents. It does not only stop there, as owners may be liable for poorly maintained parking lots, lighted areas, and furniture. As a restaurant owner, you are responsible for your guests dining at your establishment. To avoid any potential lawsuits, you should not only check for potential violations, but also require your employees to inspect the premises while they are working. Furthermore, it will pay off to have someone at your restaurant dedicated to cleaning and inspections so that your kitchen, eating area, and restrooms are spotless. Not only will this reduce your chances of a lawsuit or violation, but you will also keep your guests happy, coming back, and you’ll receive great reviews in return. If you were injured at a restaurant and you believe the restaurant owner was at fault, you may be able to receive compensation. The first step is to contact an attorney to discuss what happened as every case is different. Contact The O’Brien Law Firm today at (716) 907-7777 for a free initial consultation. Personal injury law is not limited to only vehicle accidents. On the contrary, personal injury includes premise liability (slip and falls), products liability, wrongful death, workers’ compensation, and more. Each topic could be its own specialization area with their differing and unique laws, but nevertheless, personal injury attorneys take on all of this. Medical professionals are held to a higher standard because the lives of people are in their hands. You go see doctors expecting to feel better, not worse. Therefore, you deserve to be compensated when you or a family member is further injured, neglected, or taken advantage of while in the care of doctors and nurses. You may be able to receive compensation for expenses that you have to endure such as additional medical bills, loss of income, and the pain endured. Note, however, that each claim has a statute of limitations that allows you to pursue a lawsuit. In New York, a medical malpractice lawsuit must be filed within 2 ½ years. If you believe that you or a family member was harmed because of medical malpractice, you should contact our law firm to speak with one of our experienced attorneys. Keep all relevant notes and documents for proof and references in the future. Call us at your earliest convenience at (716) 907-7777. Have you ever had children trespass on your property and felt like an unfriendly neighbor for telling them they can no longer ride their bikes or ATVs there? While you might think you’re nagging them, you are actually protecting yourself from liability because if one of them falls and gets injured on your property, you could potentially be sued. Property ownership requires some upkeep and, in some cases, even routine inspections to make sure the premises are safe. People who are considered to have invitee status in premise liability are typically people visiting business locations such as restaurants, grocery stores, or department stores. Invitees are usually on the property for the property owner’s financial gain rather than a friendly social visit. They can also be people in public places such as parks and sidewalks because of their implied invitation to lawfully be there. Owners that invite people onto their business premises owe people the duty of care to maintain the premises so that they are safe and additionally repair any hazardous conditions. 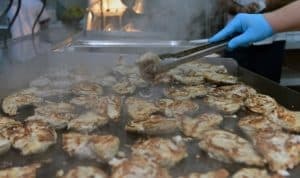 Whether an invitee slips and falls on a food item at a grocery store or is injured by broken equipment in a park, these lawsuits entail figuring out how reasonable it would have been for the owner to foresee the harm and whether he or she knew or should have known about the dangerous condition. Licensees are people invited to visit a location for social purposes. These people include friends or family that visit someone’s home for a party or holiday gathering. Property owners owe licensees a duty of care to inform them about any known dangers on the premises that are not obvious to the licensee. For example, lawsuits involving this liability can arise when a homeowner knows about a condition on their property that could potentially be dangerous to his or her guests and does not warn about it. Trespassers are people who are on another’s property uninvited and/or no longer welcomed. The least amount of duty of care is owed to trespassers. However, property owners are always prohibited from setting up dangerous traps that could injure or kill someone by trespassing onto their property. 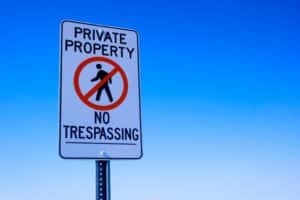 While it is more difficult for a trespasser to successfully sue (as opposed to someone who was lawfully on the property), there have been some successful cases. Traditionally, homeowners do not need to warn trespassers of dangerous conditions. However, once a homeowner discovers a trespasser and fails to ask him or her to leave, a higher duty of care will be owed. Furthermore, a property owner can likely be held liable if a child is injured by a dangerous condition on the property, whether or not the child was invited. 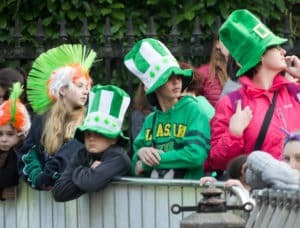 This “attractive nuisance doctrine” protects children and could include a slippery artificially rocked pond that a reasonable adult would know is dangerous, but a child would not. If you are injured on someone else’s property or need advice about someone injured on your own property, call The O’Brien Law Firm so we can confidentially discuss what happened. We are one call away and ready to help at (716) 907-7777. Whether someone intentionally hurt you or you were involved in an accident caused by the negligence of another, you should receive compensation for your current and future medical expenses. While it is understandable to want to move on, you should not let a blameworthy person remain unaccountable for his or her actions. Additionally, you should not have to pay out of your own savings for your medical expenses. At O’Brien, we always give free initial consultations and we won’t charge you a thing unless you win. Therefore, you have absolutely nothing to lose by simply talking to us to see what we can do for you. While vehicle accidents are the most common personal injury suit, it is only among one of the many reasons to sue. If a product you purchase is defective, you can sue the whole chain of distribution that released the product out onto the market. Assuming you used the product in the way it was intended to be used, you shouldn’t be harmed by any product that passed safety tests. If you are injured, an attorney will be able to look up exactly who to sue and help you with the process. When you go to see your doctor, you shouldn’t end up with an additional unrelated injury caused by a doctor or other medical employees. If you believe you were injured because of the negligence of medical personnel, you could have a case. Medical practitioners are there to help you get better, not worse. You need to work every day but you should expect your safety to be a priority to your employer. When there is a hazardous condition at work resulting in injuries, you might be able to receive compensation for the medical bills that will pile up. No one should be afraid of injuries in their day-to-day work activities. Whether you were on someone else’s property for a business or social visit, each property owners owes certain duties to you for your safety. If you are injured, you shouldn’t have to pay for those injuries when the property owner or his or her employees are at fault. Oftentimes, a property owner will have insurance to cover your medical expenses, so you shouldn’t think twice about at the very least consulting an attorney about your options. If a close family member passes away due to the fault of someone else, you can still do something about it. Whether you’ve lost the companionship, support, or suffer from hardship because of the death of that loved one our attorneys can help you receive compensation on behalf of him or her. While this is always a sensitive suit, you can rest assured that our attorneys can be strong for you when you’re going through this hard time. No matter the injury, if it falls within the realm of personal injury, we can help. O’Brien Law has skilled attorneys with years of experience to help you receive compensation. Call us today at (716) 907-7777. We’re here to help. Food poisoning is a common ailment caused by contaminated, old, or poorly-stored foods. Bacteria and viruses including E. Coli, Salmonella, Listeria, and Norovirus can be found in produce, meat, fish, dairy, or prepared meals. This year, the FDA has issued recalls for certain brands of romaine lettuce, eggs, cut melon, along with several snack foods (only to name a few) for potentially being laced with such bacteria and viruses. Without refreshing the FDA’s recall list every day, it can be easy to overlook a new food recall. Symptoms are usually simply an inconvenience but can also be severe leading to hospitalization and in rare cases, death. Symptoms can be more severe for younger children and the elderly due to their weak immune systems. 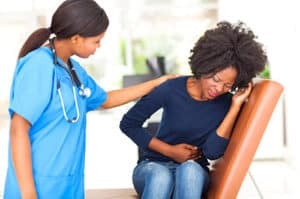 While you should always see a doctor if you believe that you have been food poisoned, there are certain considerations to take into account before filing suit. Minor food poisoning can entail multiple trips to the restroom and discomfort. With food poisoning being so common, these minor symptoms may not merit the time and expenses of a costly lawsuit. If you only feel minor discomfort, you should probably wait for the symptoms to pass with time. On the other hand, severe food poisoning can require professional medical care, overnight stays at the hospital, pain, and loss of income from not being able to work. Serious symptoms can include excessive vomiting, blood, extreme cramps, fever, cold sweats, dehydration, weakness, and blurry vision. If you experience the more serious symptoms, that’s when you should see a doctor immediately and furthermore consider suing for the damages that you endured. In the case your family member passes away due to food poisoning, you can also file a wrongful death suit on behalf of them. Likely the biggest obstacle that you will have to overcome is proving where the food poisoning originated from. You may not start feeling any symptoms until several hours or a few days have passed. Within that time, you will likely have eaten something else as well as eaten food before the meal you believe poisoned you. Therefore, the food-provider will argue that the other food could have caused you to be poisoned, rather than the food you ate from him or her. Even if you have the food in your possession with the possibility of it being tested at a laboratory, a defendant can contend that you were the one negligent in storing the food or contaminating it with other food. Typically, it will be several days that have gone by since the food was sold to you, so within that time, there can be multiple opportunities for food to be contaminated at home. The best ways you can prove the food poisoning was caused by a food-provider is if there was a product recall from the FDA or multiple other people were food poisoned after consuming the same food as you. If you have been severely food poisoned and can prove that someone else is to blame for it, you should contact our team of experienced attorneys at The O’Brien Law Firm. The more time that passes without taking action will lessen your chances of receiving compensation, so contact us at (716) 907-7777 today so we can evaluate your case immediately. 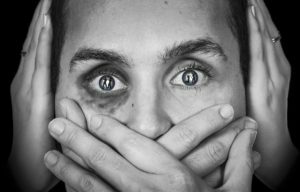 Being a victim of sexual and domestic abuse can naturally be traumatizing and can result in physical injuries as well as emotional distress. Although you may be scared, feel violated, or embarrassed following sexual abuse, you should still speak to medical and legal professionals to protect yourself and receive compensation. Each professional will most likely be understanding and help you fight back for your rights. Many people don’t realize that there is a difference between criminal and civil cases. Criminal cases are prosecuted by the state and may include jail or prison time, fines, and probation. On the other hand, civil cases are initiated from private individuals for actions such as assault and battery, breach of contract, or defamation (to name a few) so that a plaintiff can be compensated for expenses, reliance, and/or other damages. Specifically, sexual assault is a criminal offense that can be prosecuted. However, whether or not the defendant was found guilty or not, you can still file your own civil suit for your pain, suffering, emotional trauma, and future medical expenses. There have been civil sexual abuse cases regarding medical professionals acting beyond the scope of the reason for the visit, domestic family-related abuse, and assault from random strangers. Whichever the situation, personal injury attorneys are capable to handle your sexual abuse case and will be there for you every step of the way. In a criminal case, the prosecution will have to prove a high burden that the defendant was guilty (beyond a reasonable doubt). This is because criminal cases entail incarceration among heightened fines. However, civil cases have a lessened burden and victims will be more likely to prevail. An attorney will be able to discuss the different burdens to you and provide you with the support and counseling that you need to prevail. As difficult as it seems, if you are a victim of sexual abuse, you need to stand up for yourself and receive the help necessary to achieve your goal. It is normal to be afraid or want to move past and forget the conflict so you can try to live your life free from abuse. However, no one should feel ashamed for something that they did not bring about. As a victim, you are not at fault. On the contrary, the person who is guilty of causing you harm needs to be held responsible for your injuries. Pursuing your lawsuit will not only compensate you but may also prevent future harm to other victims. An attorney that you hire will be on your side and do everything in his or her power to make sure that you don’t have to pay out of pocket for the harm that was caused to you. Additionally, you may want to file a restraining order or need monetary help to relocate away from the person who abused you. Attorneys can provide all that help and support and advise you on how to move forward. The O’Brien Law Firm understands that this is a difficult time for you and will be compassionate to help you overcome this situation. Our team will also be strong and fight for you because we believe you need to be compensated. Call us today at (716) 907-7777 for a free consultation. As we continue to enjoy the summer months, we believe it is appropriate to consider the importance of pedestrian safety. 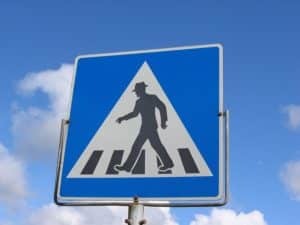 According to the Centers for Disease Control and Prevention, pedestrians are 1.5 times more likely to die than passenger vehicle occupants in a car crash. Below are a few simple tips and tricks to increase safety. “Distracted walking” is now an identified risk. Whether missing the curb, not noticing the fire hydrant, or failing to hear a passing car, distracted walking can lead to injury or death. Most distracted walking can be attributed to people looking at their phones. Whether responding to a text message, playing a game, or searching for data, walking and cell phones are a dangerous, sometimes even deadly combination. Put the phone away while you are walking. If you need to use the phone, stop walking and step out of the path of traffic. Attend to your cell phone needs, then return to walking. 32 percent of all pedestrian fatalities occur between 8 pm and midnight. Many people give little thought to what they are wearing when they go for a walk. However, particularly at night or in low light conditions, such as dawn and dusk, light colored and reflective clothing can be a life saver. Additionally, consider carrying a flashlight. Even a small light makes pedestrians easier to see. Stay in well lit areas. When selecting a walking route, particularly when crossing the street, consider brightly lit areas. Use the cross walks, rather than crossing in the middle of the block. Make eye contact with the driver before stepping out into the street, even if you have the right of way. Never, ever presume a driver sees you. Whenever possible, stay on the sidewalk. If there is no sidewalk available, walk on the shoulder of the road, as close to the edge as possible. Walk against traffic, so that you can see what is coming. Particularly if you are not on a sidewalk, avoid wearing headphones, which block traffic noise. A “walk” sign is not enough. Do not rely solely on a walk sign to step out into the intersection. With the number of distracted drivers on the roads these days, it makes sense to look left, right, and left again, even if you have the right of way. Injured pedestrians have rights. At The O’Brien Firm, we are happy to talk with you about your pedestrian injuries. Our attorneys will meet with you at no cost. We meet with clients in our office, or another place convenient to them. During our consultations, we discuss our approach to your case, the possible damages you may be able to collect, and about how long your case may take. We answer any questions you or your loved ones may have. If you choose to hire the firm, your attorney, and our support staff, keep you informed every step of the way. Contact us today at (716) 907-7777.